Ideas are very important throughout all your life. Like small, childhood ones, how to get your sand castle bigger, through the breakthrough ones, from industrial revolution ideas that changed the world as we know it. Now you can choose from many innovation management platforms that can help improve your business in every way. But is there a universal one, or one size doesn’t fit all? 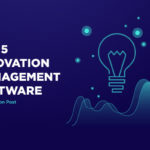 In this blog digest, we analyzed the most competitive Innovation management software that can assist you in your innovation process with their end-to-end innovation management platforms. With the focus on functionalities and usability as the requirements that all users are in pursuit for, you will know from the first hand what are the pros and cons of this type of software. Innovation Cloud is one of the most comprehensive, end-to-end innovation management platform, made available on the cloud. On whatever type of innovation you think, they will support it. 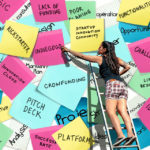 Top-down innovation, bottom-up innovation, challenge-driven innovation, open innovation, crowdsourcing, phase-gated methodology, NPD, product portfolio management, market tracking…It’s so easy-to-use yet engage and stimulate end users, that will pull out ideas even from the most elusive ones. The progress of innovation is followed from idea to market, with comprehensive and real-time reports and analytics, so you can always make educated decisions and track your future success. To make adoption easier and speed up the implementation process, Innovation Cloud can be quickly deployed within your current environment so your end users can maintain their existing tools. And not to forget, their dedicated team of experts available 24/7, to assist you to utilize software to suit your exact needs. The intuitive, minimalistic interface of the Innovation Cloud platform for the end-users is the result of years of fine-tuning, recently redesigned. Innovation Cloud flagship software, “Enterprise,” with built-in reports are actionable and ready for export. Capabilities of custom reports will make much easier for your executives to make educated decisions. With the Global application you can customize literally everything. Enables you to digitalaze every part of your innovation process. With Enterprise solution you can customize everything, literally. The web presentation of their different solutions is a bit confusing. Clarification: Enterprise solution stands for out-of-box innovation management platform that can be customized to suit your company needs. Global solution stands for a tailor-made software solution that you jointly design with their experts from the ground. Founded in 2006, Qmarkets is one of the most acclaimed innovation management platforms on the market. Qmarkets’ Q-360 suite of collective intelligence products is tailored to address specific use-cases. The various Qmarkets products are available in three editions, each of which is tailored to enterprises that are at different stages of the innovation process. With Qmarkets, stakeholders are seamlessly added to the platform via a back-end integration that only requires a one-time setup. Deployment is also kickstarted thanks to pre-packaged solutions designed for specific innovation needs. In addition to offering a selection of best-practice workflow templates, Qmarkets has recently launched a flexible self-admin tool, which offers greater control over specific workflows, as well as a selection of customization capabilities. The Qmarkets platform offers intelligent crowd-voting tools, and other features designed to evaluate and incubate ideas within the pipeline. ROI and analytical capabilities are also included. Qmarkets offers a variety of automation tools, including automated user selection and idea graduation. These utilize predefined criteria to trigger activity and progression within the system. General problem with language translation (Duch, Hebrew). Not supporting all functionalities on other languages. IdeaScale represents the emerging platforms in the innovation management niche. Founded recently in 2009, IdeaScale places heavy emphasis on features like gamification and mobile-responsiveness. Using crowdsourcing, IdeaScale allows organizations to involve the opinions of public and private communities by collecting their ideas, voting on ideas, reviewing ideas and finally implementing those ideas. IdeaScale’s has an easy-to-use basic interface, deriving concepts from social media networking sites. New users can be brought on board via invitations to a portal where they can submit and vote on ideas. IdeaScale requires a degree of manual effort to move ideas from conception all the way to implementation. On the flip side, the platform gives businesses more control over the quality of ideas being pushed through the pipeline. While the most innovation management software solutions utilize mobile app interfaces, IdeaScale’s solution is 100% built with responsive elements. This makes the user experience streamlined across all devices. With IdeaScale, companies can modify every image, language, and interface structure within the platform. Alternatively, they can have a dedicated UX team modify the interface according to their needs. Highly reliable and scalable platform idea generation and management. Customer support is high quality. Brightidea is another veteran in the innovation market, offering a robust feature set for businesses of all sizes. Its products focus on empowering the workforce, measuring the potential of new ideas, and consolidating insights for the resolution of company-wide problems. With Brightidea you can engage your employees and partners at scale, collaborate on different ideas, and foster a culture of innovation within your company. The user-friendly and customizable interface of the platform offers simplified ideation monitoring. This makes it readily applicable to a variety of business models. Brightidea makes the process of managing and tracking multiple ideation projects from a single hub extremely simple. The platform’s transparent evaluation capabilities also take out the guesswork of shortlisting the best ideas. Brightidea offers 15 separate innovation apps designed to address specific objectives, such as initiating employee engagement, tracking trends, and developing opportunities. To gauge the effectiveness of your innovation campaign, Brightidea comes equipped with built-in engagement metrics that track employee engagement and collaboration. Modular platform, easy to use for back-end users. Reactive support team in case of technical issues. You are never alone with your problem. Talented team of Professional services team to get you up and running. Similar, yet diverse submission form can be confusing and challenging for use. More focus on contribution and engagement metrics than on metrics related to innovation process. Spigit is driven largely by a primary goal: to enable enterprises to leverage the collective intelligence of their stakeholders. Founded in 2007, the Spigit platform is recognized for its user-friendliness, scalability, and extensive employee-engagement capabilities. Spigit’s simple and sleek interface can facilitate the management of several idea challenges simultaneously. The idea feed makes it easy to stay ahead of new and ongoing ideas in your innovation campaign. Valuable metrics, such as star ratings and incubation progress bars, let you spot high-priority ideas rapidly. With Spigit, employees are put in the driver’s seat when it comes to innovation management. They can pitch ideas, provide feedback, submit projections, and more via an interface modeled on popular social media platforms. As employees push new ideas into the workflow, Spigit’s algorithm works in the background to highlight the most lucrative ideas. There it is. 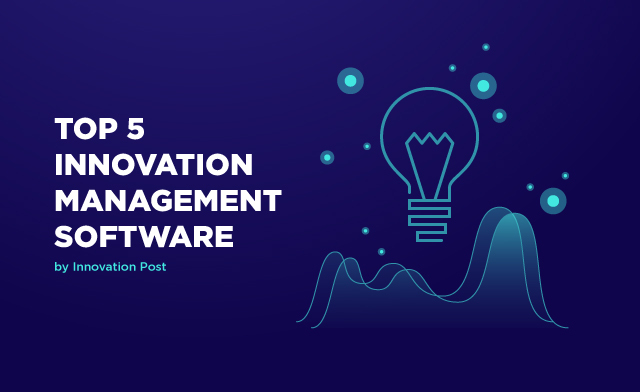 The list of Innovation Management Software that are the most used and have strong positions on market. Everybody is constantly improving so there is a chance to find some new features and functionalities very soon. As far as usability is concerned, going with any of the platforms above should cause a minimal friction during deployment. After all, these companies constantly update both back and front ends to boost their adoption across enterprises of all sizes. Features-wise, the top competitors are Innovation Cloud, Brightidea, IdeaScale. However Qmarkets has a slight edge. This is largely thanks to its versatile evaluation tools, streamlined automation capabilities, and recently-added self-admin features – delivering a broad degree of flexibility when crafting innovation challenges. The impressive consulting capabilities of Innovation Cloud – as well as its simple, distraction-free – make it well suited for getting innovation projects off the ground quickly. Brightidea, Spigit, and IdeaScale also offer a robust array of features and tracking capabilities. 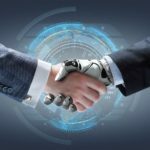 However, in terms of achieving a good balance between usability, scalability, flexibility, and automation, Innovation Cloud is certainly the main contender and out top choise. To be competitive in this changing world, we have to put efforts on coming up with new ideas, products, and services that add value to our organization. This solution we call “innovation”. Innovation has become and is a symbol of modern society, keyword for success and financial growth, an imperative for companies and enterprises. Now-days, innovation is all over ICT and car industry, but also every cosmetics have some innovation formula, most companies have innovation section on web pages and not to mention medicine and pharmacy who offers an innovative drugs. From a business perspective, it is a way to improve business and make more profit, and from a perspective of a regular everyday normal guy it became just a buzzword. The word itself is overused and if you check with a single Google search you’ll find about 557,000,000 results in 0.32 seconds! Definitions vary and innovation means different things to different people, industries and even to different science. Popularity that (term) innovation gained in the last decade, made us think what people mean when they say we need more innovation or we need to be more innovative? After reviewing dozens of definitions from a diverse set of relevant sources, we decided to provide a simple description of innovation that our regular everyday normal guy can understand. (a) Creating something new, unique, original. Starting something for the first time. It is basically like inventing the wheel. (b) Improving something that already exists in a way of making it better than it was before. This way innovation doesn’t have to be about reinventing the wheel. Creating value! Creating something new is not enough for the definition of innovation. There are a lot of new things that are of no use or have no value. Innovation always has a tangible outcome that has value. Innovation must be valued, which means that it meets real need or resolves a real life problem. This reflects on commercialization of the idea itself. Innovation is a process. It has it’s structure and involves multiple activities. It’s a result. It’s an outcome. It’s something you work towards achieving “something fresh”. Mostly is a team work, team of people of diverse knowledge and expertise working together to produce something fresh. Technology helped to overcome the geographical barriers with innovation management solution that allows you to gather team in online environment around some new challenge. 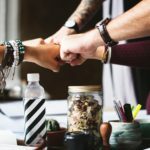 By encouraging and acknowledging your people whenever they come up with a new idea, you create an environment, where innovation is a part of the everyday life and work. It has always future dimension and is a positive change. Innovation is the reason our lives have improved since the beginning of civilazation. 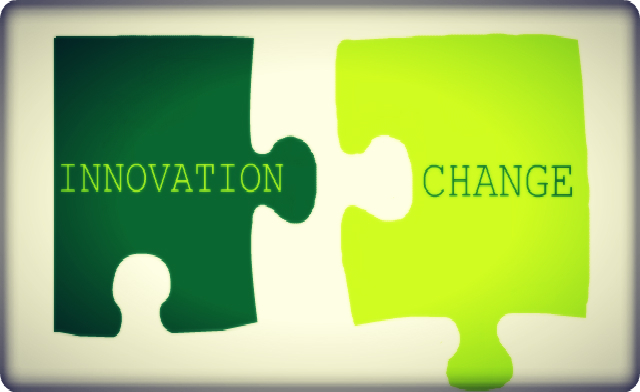 Innovation always means progress and in this changing world progress is expected. As technology is now in every part of our lives, we do expect that next generation of our android or iOS smartphone, will have some new features, like a faster CPU, improved battery life, more pixels on camera. But we can’t all be scientists, engineers and developers to create something new. But we all have came up with some ideas about improving our performance at work in order to work better, faster, easier. If those ideas are implemented, that is a successful innovation. There is a significant need for a simple approach to finding new ways of overcoming the challenges that modern society bringing and innovation is logical response on it. If you have some other point of view on this subject, please leave your definition of innovation or your anecdote of an innovation in action as a comment to this post. Free specialized idea management solution for 15 users, 100 ideas and 1GB of storage made and maintained by a software company DataStation from Belgium. They focus on the innovation management and collaboration and are on the market for 9 years now. The Innovation Cloud is a basic version of their Enterprise solution – covering complete innovation process, starting from ideas to launch. Website states some valuable references up to this point: Bayer, DHL, NASA, HTC, Etihad, Toyota, Schweppes, Electrolux, etc. We went on to try the free version and were amazed with the design, simplicity and the amount of the features we were presented with. It doesn’t require any training, so thumbs up. The software supports ad hoc and challenge driven idea submission. It operates in three phases: submission, collaboration and approval. Voting, files and comments are there as standard, but wrapped up in nice intuitive and familiar design. Application is mobile friendly with big buttons you can’t miss, ensuring that you are always aware of what you need to do next. They announce some pretty cool features coming in the next few months. They are not spamming us with emails to go for an upgrade (25e) and they have some good newsletters with the tips and hints about the usage, best practices, etc. All in all, great tool to kick start idea management and come to the fast proof of concept for internal buy-in. Downsides: Annoying tutorial at the start. One account per email address. Bitrix24 is a social collaboration and communications platform for all business operations. It’s owned by Bitrix, Inc, Intranet and Cloud company from Alexandria, Virginia. It offers a full range of applications and tools to cover different aspects of business management: CRM, Knowledge management, Project management, etc. They have a built in idea management system in which any employee can express an idea to improve operations and let colleagues evaluate the idea. First, we had trouble understanding the pricing from the website, but it seems that idea management is not listed as a free solution, but we presume it is free for 12 users and 5Gbs of space, so went on to test it. Two downsides put this software on the second place: Complexity of the screens and the scope of the features. Largely tied to the fact that idea management is not a focus of this software. 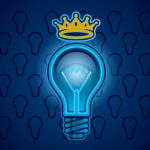 IdeaScale is an innovation management platform that uses crowdsourcing to help you find and develop the next big thing. IdeaScale HQ is in Berkeley, CA. They started as government open innovation platform and continued in the same direction, collecting enterprise clients on the way. They have a Free plan for 25 users, 5 Campaigns with profanity filter and mobile use. They are focused on the open innovation, so once we started a test, we could not hide our work from the public. The software itself is nice, but we struggled with the fact that the privacy is reserved only for the enterprise plans. Team collaboration and brainstorming tool for 5 users. Not exactly idea management, but it has an infrastructure which you can use to organize brainstorming sessions, Kanban views, flowcharts, etc. You start a canvas and your team can collaborate, comment and add thingies. A cool tool for design thinking, 6 hats and brainstorming. Still in BETA though, and very limited if your need surpass 5 users count. Wridea has been established in 2006 and after 2 years of beta testing phase, the final release has been put online on June 2008. 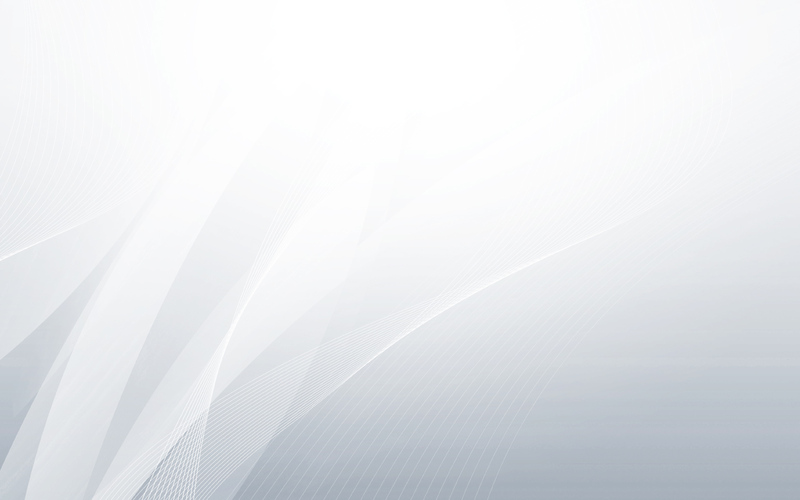 It was developed and owned by Octeth Ltd. a web app development company established in 1999. With the help of Wridea, you can store your ideas, manage and organize them, collaborate with your friends over your ideas, etc. Although it is fully free solution, we found that the interface is very modest. So we gave it a 5th place on our list. Have you seen our full list of the Free idea management solutions? 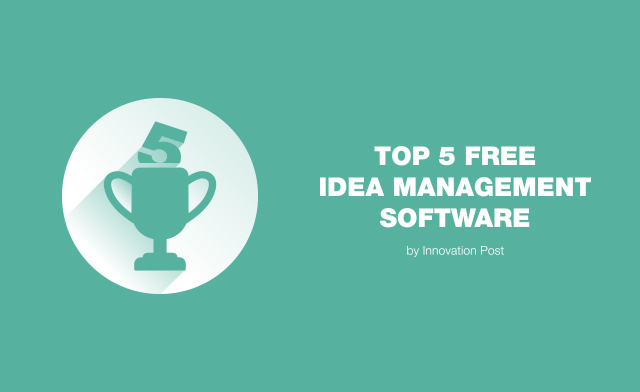 After some research, we at the Innovation Post blog put together the list of free software solutions for idea management. 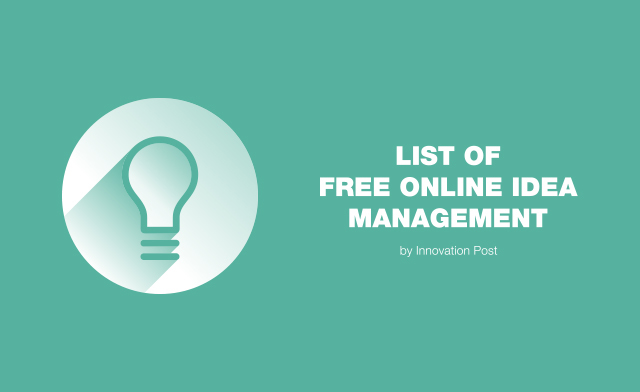 Free online idea management software list serves as an ideal starting point for any individual or team who wants to capture and develop ideas with no upfront investments. The number of the free online software solutions is raising constantly, so it is possible that we missed some. We want this list to be complete and up to date, so feel free to suggest other solutions and your experience using them in the comments and we will put it on the list after review.